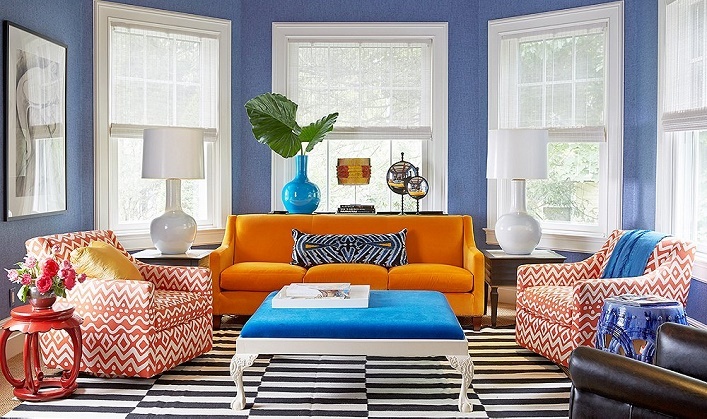 Mix and Chic: Home tour- A bright and colorful home! 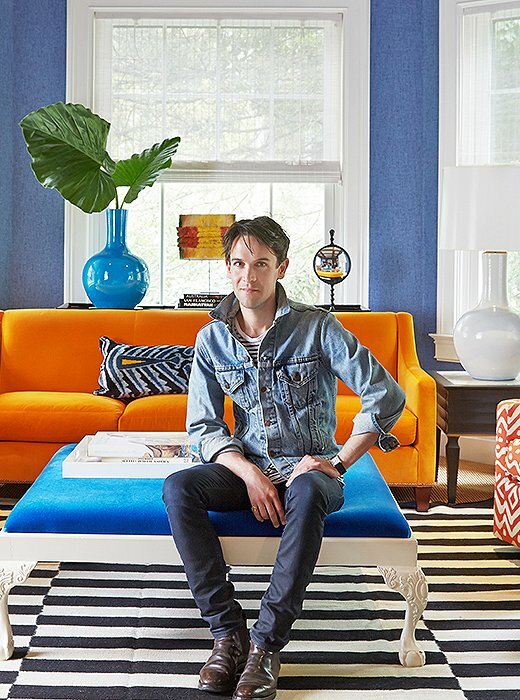 If you love bright colors and rich hues but not sure how to use them confidently, check out this colorful home designed by Patrick Mele for inspiration! 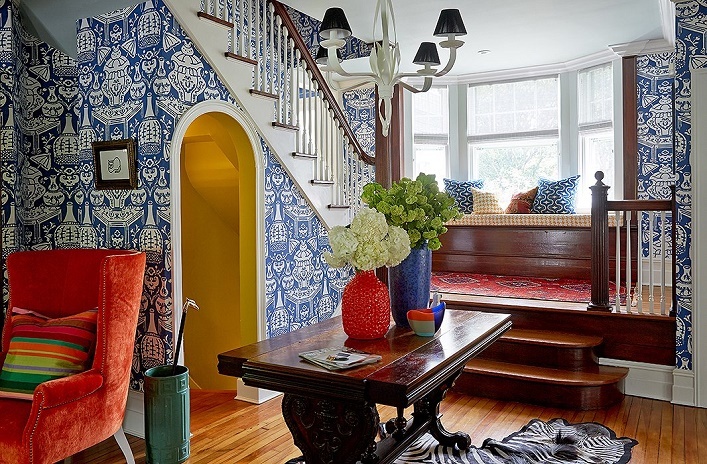 Isn't this home visually delightful? 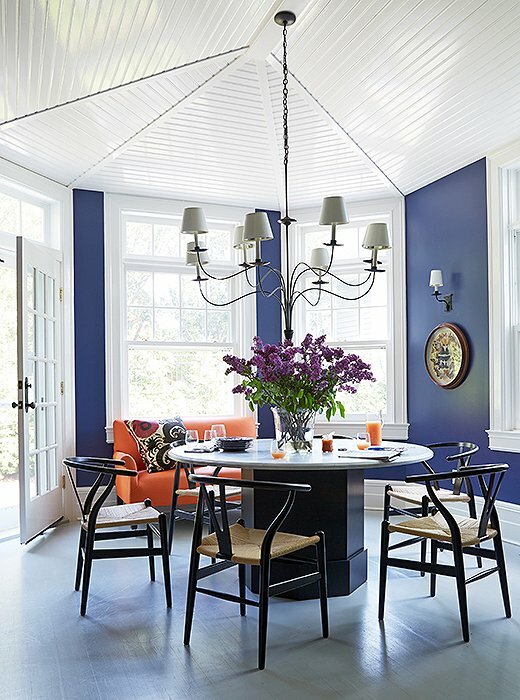 I really like how the designer carries the blue, tangerine and white color palette throughout the home to create flow and cohesiveness. 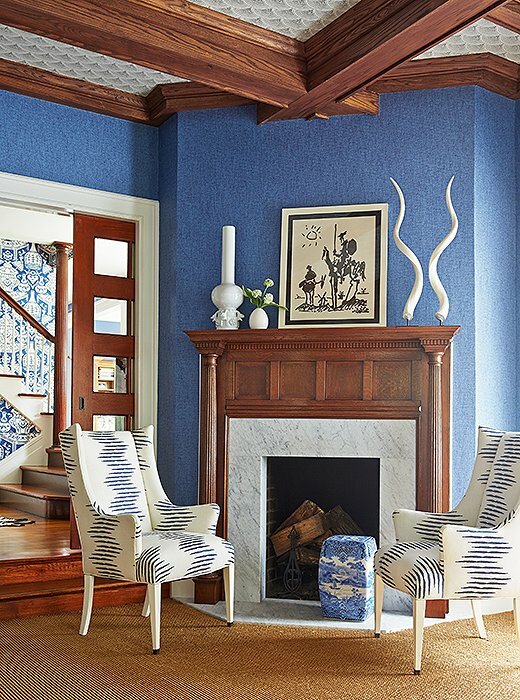 By incorporating crisp white paint and clean-lined furnishings, the combination of vibrant colors doesn't overwhelm and therefore worked! 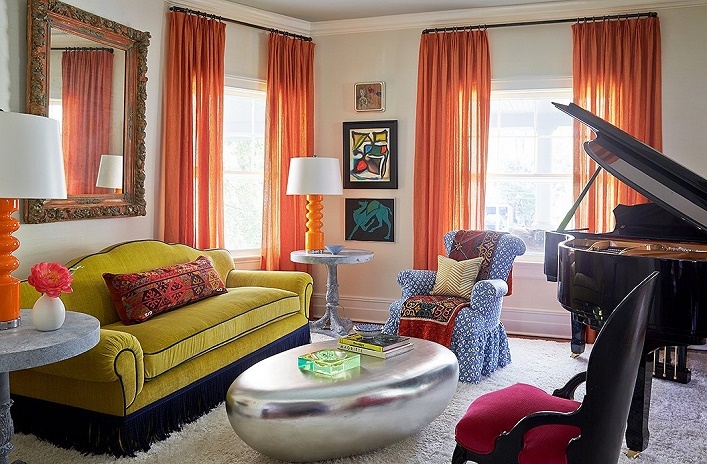 Also, by simplifying other elements, the bright hues shine resulting in a huge design impact in itself! The gorgeous living room is especially my favorite! Which room are you drawn to? Thoughts? 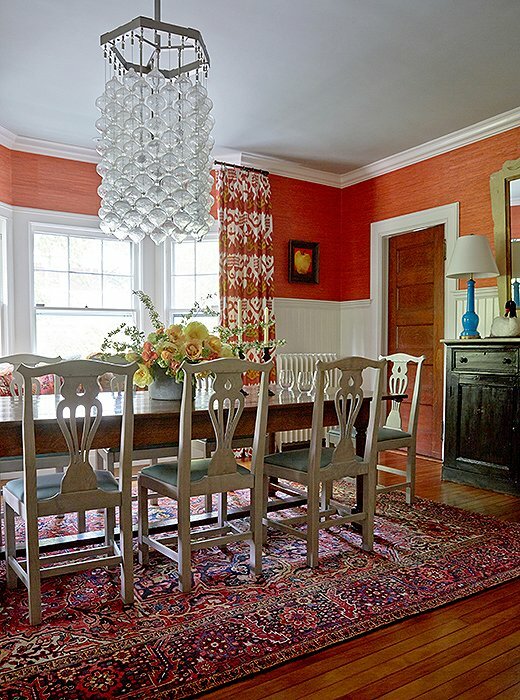 I never tire of pops of orange in any room!! My favorite color it is so happy and warm!! Have a great Friday. Fabulous! A home with funky and fun personality! I think it would be hard to be anything but happy in this space!